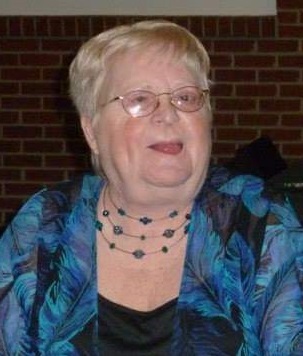 Obituary for Sharon L. Hollenbach | McIlvaine-Speakman Funeral Home LTD.
Sharon L. Hollenbach, 67, of Houston, died Monday, March 18, 2019 in the Canonsburg Hospital. She was born December 20, 1951 in Canonsburg, a daughter of John and Shirley Lombardo Hollenbach. Ms. Hollenbach was a 1969 graduate of the Pittsburgh School for the Blind. She worked for over 30 years for the Washington County Blind Association retiring in 2013. Sharon had been active with the Washington/Greene County Council for the Blind and had previously served as an officer. She enjoyed listening to audio books. Surviving are a son, John Hollenbach of Canonsburg, a grandson Rick Hollenbach of Canonsburg; an aunt, Carol Hagerman of Houston and many cousins. A sister Patricia Lombardo died in infancy. At the request of the deceased, all services are private. Arrangements have been entrusted to the McIlvaine-Speakman Funeral Home Ltd., Robert K. McIlvaine, Onwer/Supervisor, 27 Cherry Ave., Houston, PA 15342.